First comes love. Then comes marriage. Then comes...a baby carriage? Isn’t that what all women want? Not so for Claudia Parr. And just as she gives up on finding a man who feels the same way, she meets warm, wonderful Ben. Things seem too good to be true when they fall in love and agree to buck tradition with a satisfying, child-free marriage. Then the unexpected occurs: one of them has a change of heart. One of them wants children after all. This is the witty, heartfelt story about what happens to the perfect couple when they suddenly want different things. It’s about feeling that your life is set and then realizing that nothing is as you thought it was - and that there is no possible compromise. It’s about deciding what is most important in life, and taking chances to get it. But most of all, it’s about the things we will do - and won’t do - for love. Characters seem overly trite and shallow due to the flat affect of the narrator. 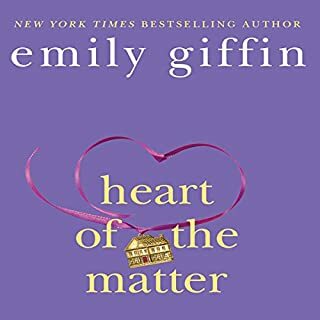 I'd like to hear the abridged version read by Cynthia Nixon because I have been a fan of Giffin's "Something Borrowed" and "Something Blue" as well as the audio version of "Heart of the Matter" read by Cynthia Nixon. Normally I prefer Unabridged audio books to abridged, but Cynthia Nixon is a talented actor and I bet it makes a big difference. Least fav of all her books, but still ok.
Story was just not as good as her others, but it is not something you want to skip over. The reader's voice grated on my nerves........the story skipped around too much and did not make much sense. 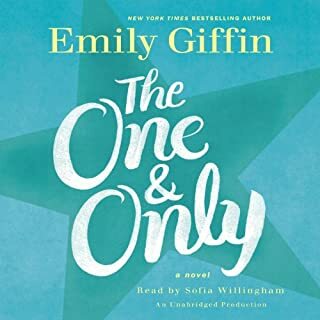 I LOVE my audio books so it is highly unusual for me to actually stop listening to one without finishing it but that is exactly what I did with this one. The cover of the book says narrated by Cynthia Nixon....NOT!!! She narrated Hear of the Matter and I loved it, this reader was awful! 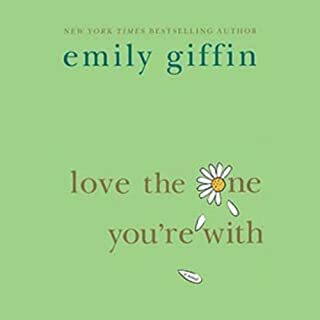 I chose this book because I read "Something Borrowed" and liked the idea of the plot because I was in a similar situation to the main character. The book was good and brought up a few points about conflicting child-having views that I had never thought about before. 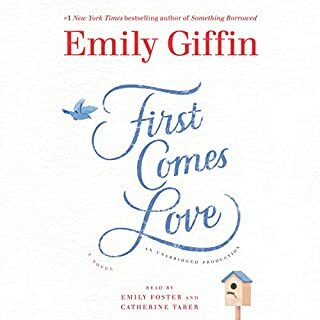 This was my very first Emily Giffin book and I really enjoyed the story, but I had a hard time getting through the audiobook because of the narrator. I wish I'd known there was another version read by Cynthia Nixon. The first person POV of this character called for a natural, conversational delivery and this was not it. Instead it felt like I was listening to a horrendously long commercial because of the stilted, overly enunciated delivery. Because of this, I didn't connect with the characters like I probably would have if I had just read the book. No one talks like this in real life and it really detracted from the story. This was a book about temper tantrum. Glad to hear about Ethan and Darcy ! Not the authors best work. Great narrator. Very slow, kinda boring. Didn't love it. Thought it needed more to be more interesting. 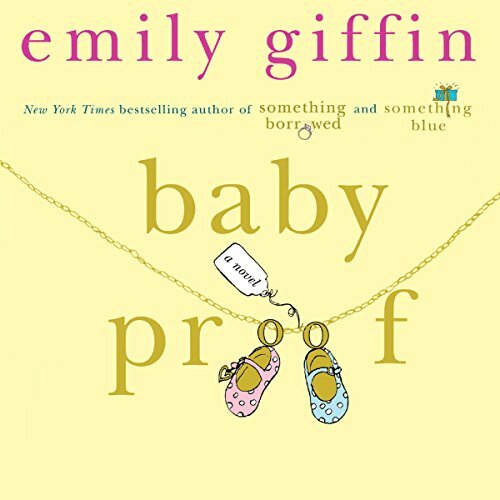 I really enjoyed Baby Proof. 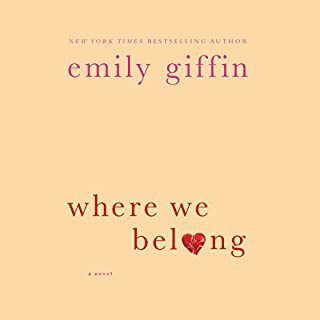 Fun and exciting, easy read/listen with a lovely ending. The characters are all so loveable and i could relate to them all in one way or another, especially the main character Claudia. 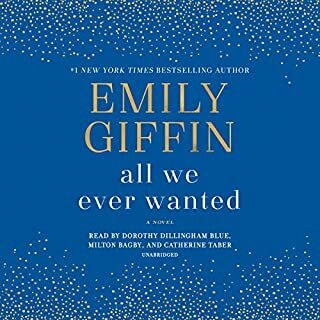 I can't wait to listen to more books by Emily Giffin. Predictable but warm fuzzy enough.